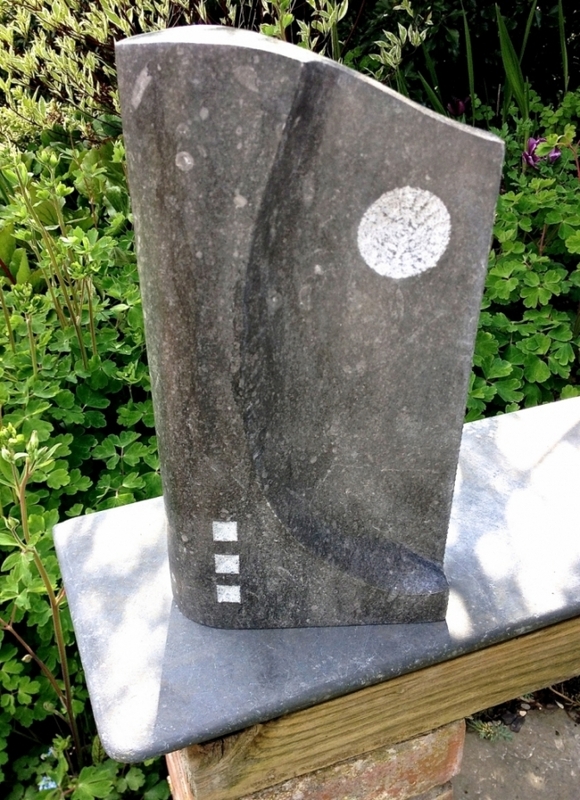 My free-standing sculptures range from representational work to purely abstract, which evolve as the work progresses until they just 'feel right' in terms of balance and repose. 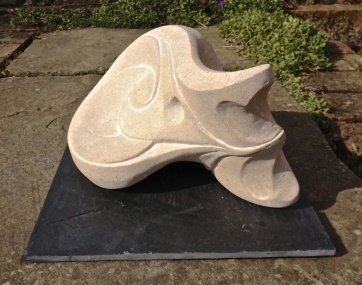 I am interested in curves, angles and planes in such work, which is designed to appeal as much to the touch as to the eye, and in combining materials such as different types of stone and glass. 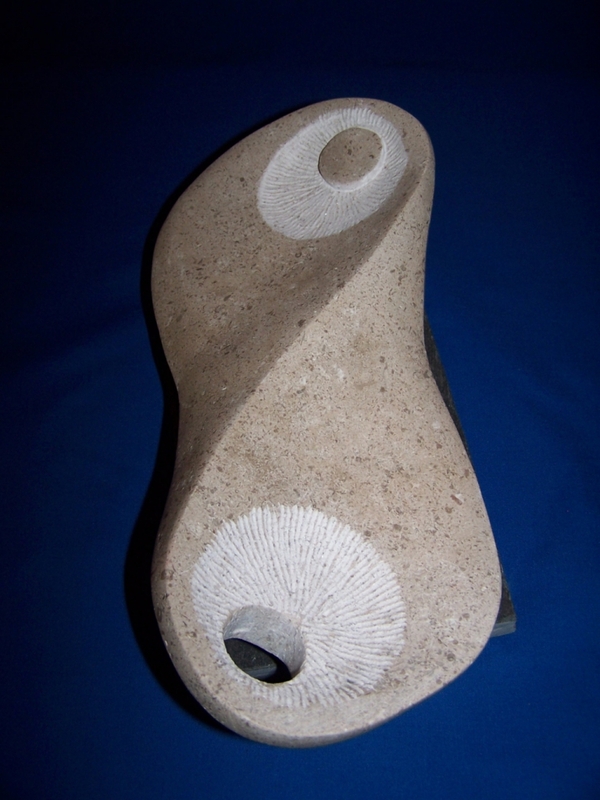 I start with a fairly general idea in three dimensions and begin to shape the stone. 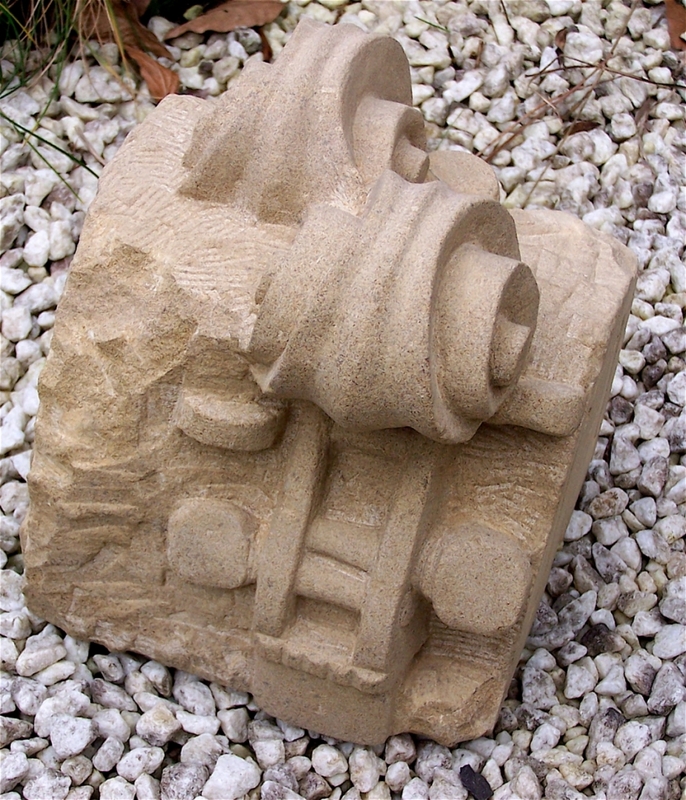 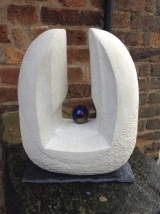 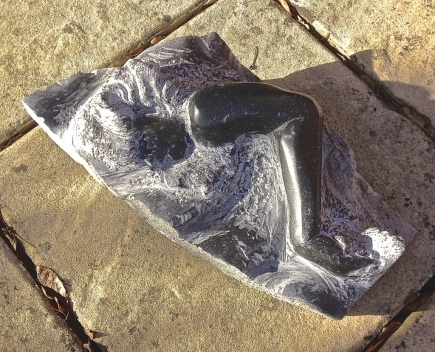 I take off larger pieces with an angle grinder, but beyond that point it is all done by hand with chisels or a bush hammer, which pulverises the stone and helps visualise in three dimensions. 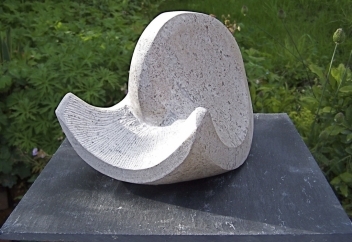 The design usually evolves quite a way as the work progresses, so I call some of these pieces 'Stone Journeys'.Final shaping is done with increasingly fine chisels and then, if the piece is to have a smooth finish, a long process of rasps, files and increasingly fine abrasives. 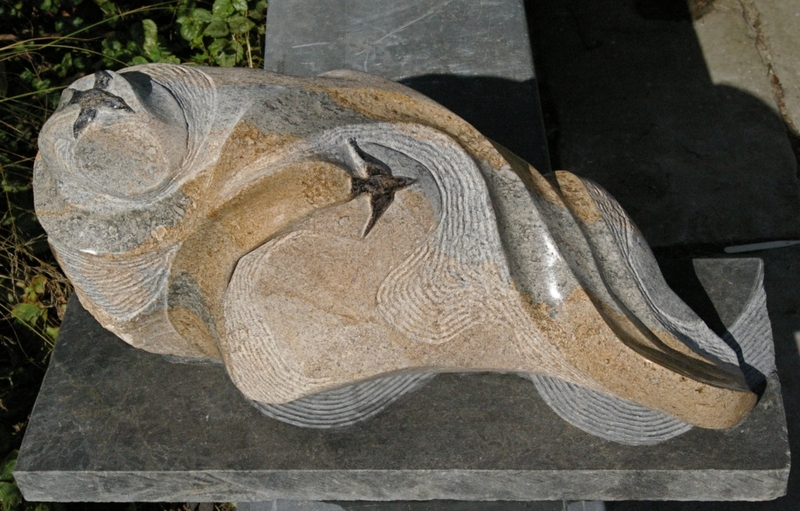 On many denser limestones this gives a very fine, almost polished appearance which makes the sculpture a delight to touch.